4K resolution also referred to as 4K, simply means you are getting four times the pixel resolution, or twice the line resolution (2160p), of 1080p (1920 x 1080 pixels). What makes 4K resolution so significant is that with the use of larger TV screen sizes, it provides more detail, and less pixel visible images than an older 1080p TVs. 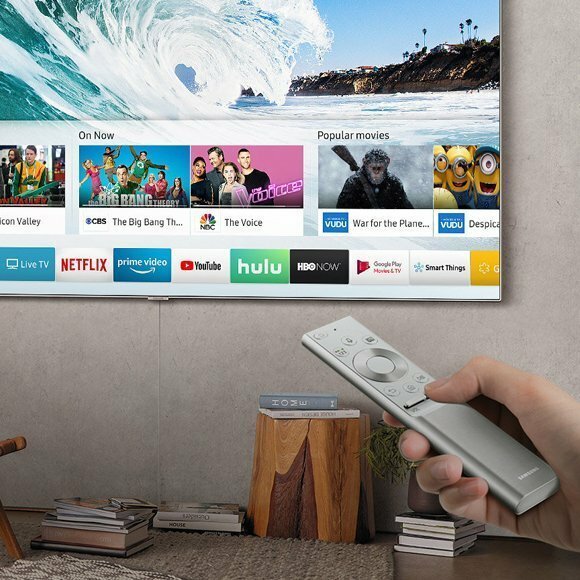 With the increased availability of 4K TVs coming on the faster than you can say resolution, knowing which TV to buy can become somewhat complicated. Add to that a proliferation of never ending terms like OLED, QLED, and 4K UHD TV, or HDMI 1.4, 2.0, and the newest 2.1. It’s enough to make your brain hurt. There are new technologies and certifications; all aimed at helping TV technology take the next lead forward. Only adding more confusion to the TV buying experience. For this reason, if you are looking for a new TV and not too sure which one to buy. Don’t worry you are not alone. 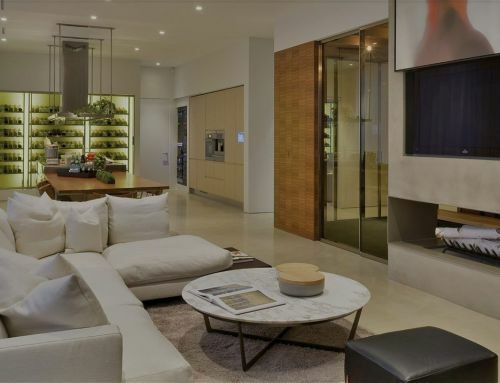 With this in mind, we offer some insight on terms associated with today’s TV technology and a look at the newest Samsung QLED Smart 4K UHD TV. Now that’s a lot to say, so with that let us show you just what it can do. 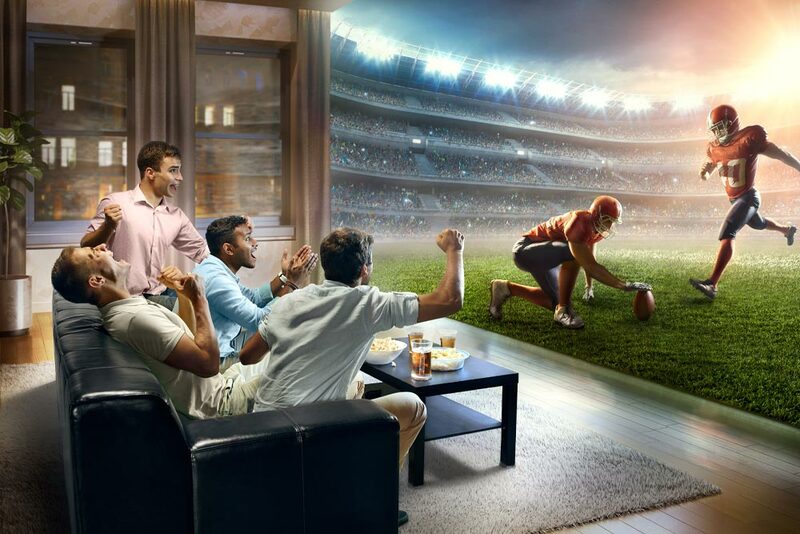 Ultra HD 4K TVs offer four times the picture resolution of 1080p HDTVs. 4K TV, UHD TV, Ultra HD TV, Ultra High-Definition TV, 4K Ultra HD TV, 4K UHD TV, it can get confusing, but they are actually all the same thing. Beyond the technical details, each provides incredibly realistic images, with a level of detail that can vary depending on the brand you buy. Some 4K TVs also offer high dynamic range (HDR) enabling you to play HDR content. HDR is a boost in a display’s contrast ratio, which is the difference between the brightest and darkest colors your TV can show. In simple terms, HDR offers a wider color gamut adding literally millions of shades of extra color, and greater bit depth. But, to take full advantage of all these amazing capabilities, your HDMI connections must be the right version. While all 4K TVs offer different things, not all TVs provide the same benefits to picture quality. With this in mind, we offer introduce the 2018 QLED TV by Samsung. Finally, a TV designed for how people live. Samsung’s QLED TVs amazes on or off, delivering the most engaging viewing experience with nothing in the way. It’s pure entertainment for your eyes. From the legendary Samsung picture quality to awe inspiring style, to ingenious ways to find new content; the new QLED TVs deliver the TV you love with nothing in the way. With a cleaner design and a more intuitive navigation that fully immerses you in the content you love, the newest QLED TV is their most advanced picture technology delivering optimal performance in real-life conditions. Plus, with the new Ambient Mode, QLED TVs can hide in plain sight. So, if you are not watching TV, you won’t see a TV until you want to. Push the boundaries of color with proprietary Quantum Dots, over a billion shades, and 100% color volume. Experience dramatic depth and picture detail with incredibly deep blacks. 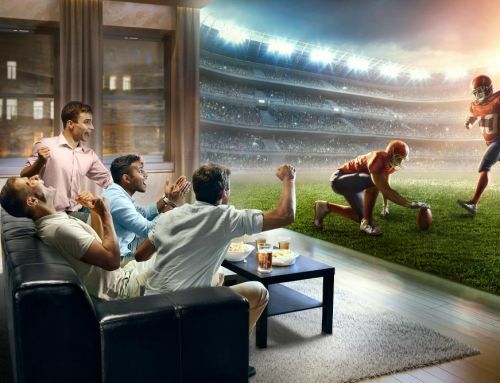 You get a realistic picture, whether you’re watching in a room drenched with light or with no light at all. Q HDR (powered by HDR 10+) is a technology that gives you a wider range of brightness and contrast to bring all the picture nuances to life. 2018 QLED TVs have the power to reveal stunning details and in-depth vibrant colors. Samsung’s design philosophy is to keep distractions hidden. 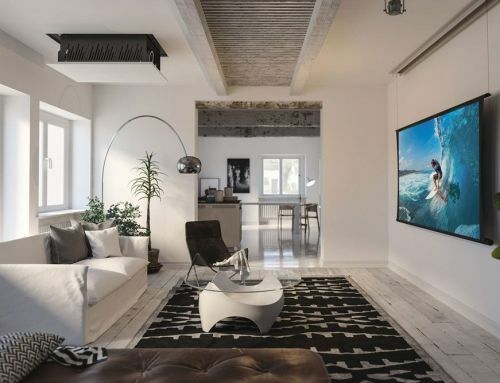 So, they have ingeniously concealed the common things that distract you by minimizing clutter from wires and the gap between the wall and mounted TV. And, with their new Ambient Mode, you can elevate your living room with decorative content, useful information, your own photos, and even some background music. 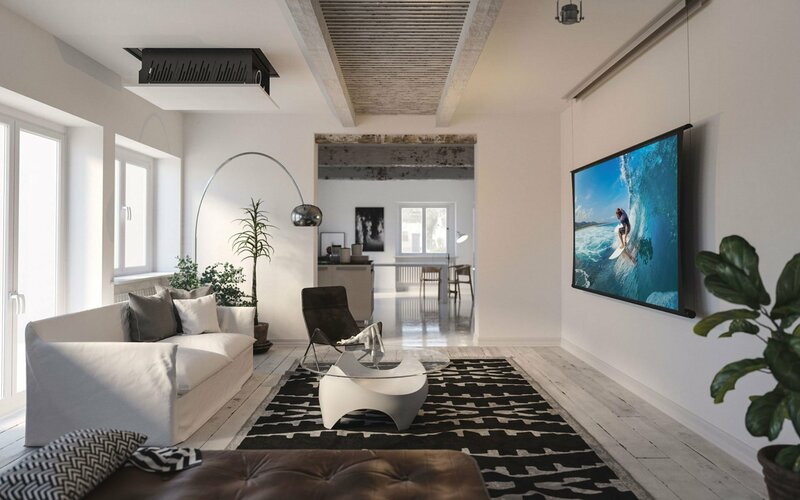 In fact, you won’t notice the TV on the wall as it blends perfectly with your décor. Q HDR was created with a combination of expertise and HDR10+ technology to give you a wider range of brightness and contrast to bring all the picture nuances to life. 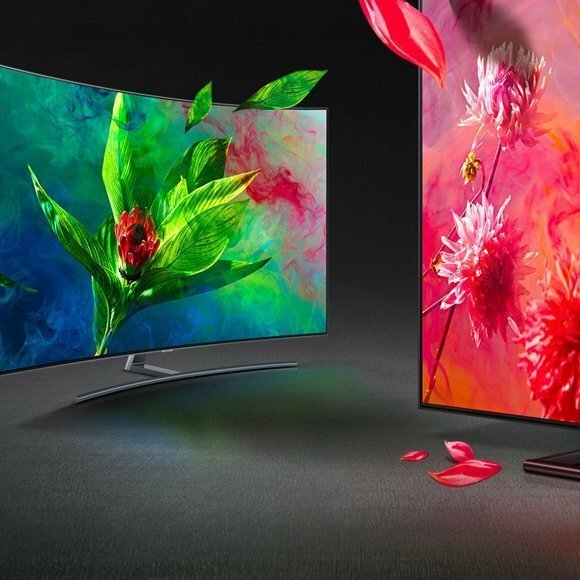 2018 QLED TVs have the power to reveal stunning details and in-depth vibrant colors. Push the boundaries of color with proprietary Quantum Dots, over a billion shades, and 100% color volume. So, what is color volume exactly? By definition, it’s an index of how well colors are reproduced in richness and accuracy at different brightness. It’s like raising the volume on your stereo and getting full surround sound. With higher color volume, you get a wider, more diverse range of color that feels rejuvenated at higher brightness levels. 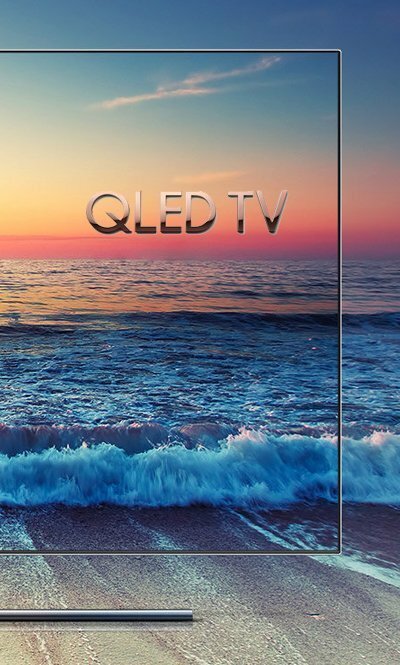 Samsung QLED TV gives it all: 100% color volume. The secret behind color is some shades may appear dull or faded in brighter scenes; QLED TVs with 100% Color Volume provide a rejuvenating effect for these colors in challenging content for a brilliant visual experience. 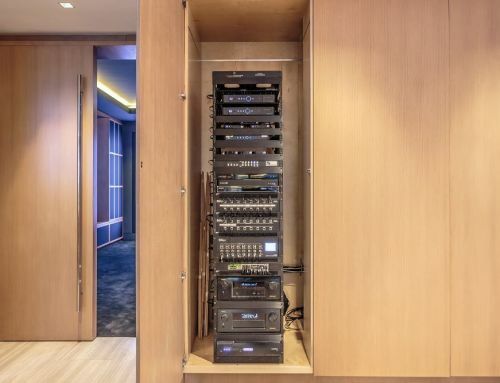 Manage all your cables, with Samsung’s nearly undetectable Invisible Connection™. It connects all your components and power to the TV with a single cable. Now you don’t have to reach behind your TV to connect new devices. The One Connect Box™connects your components to a separate box, and you can tuck all of it away, neatly out of sight. And, with their new Ambient Mode, you can elevate your living room with decorative content, useful information, your own photos, and even some background music. 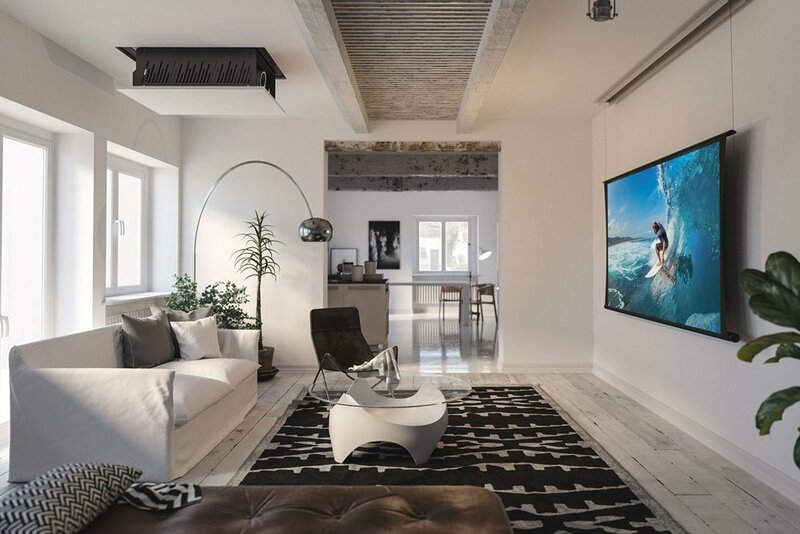 You won’t notice the TV on the wall as it blends perfectly with your décor. You can also elevate your living room by applying decorative content that blends beautifully with the space around the TV. 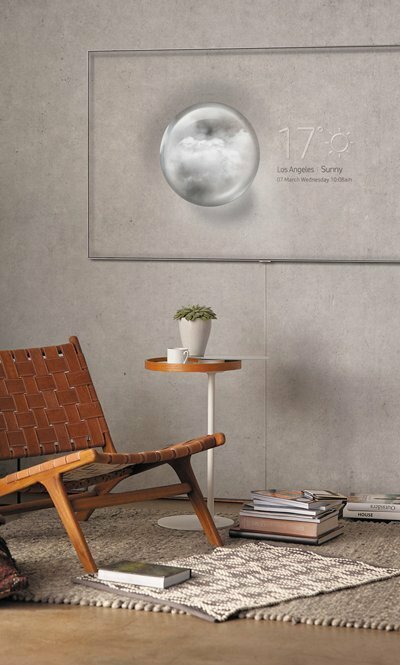 Or, get useful information such as weather, outdoor temperature and major headlines displayed on the screen. 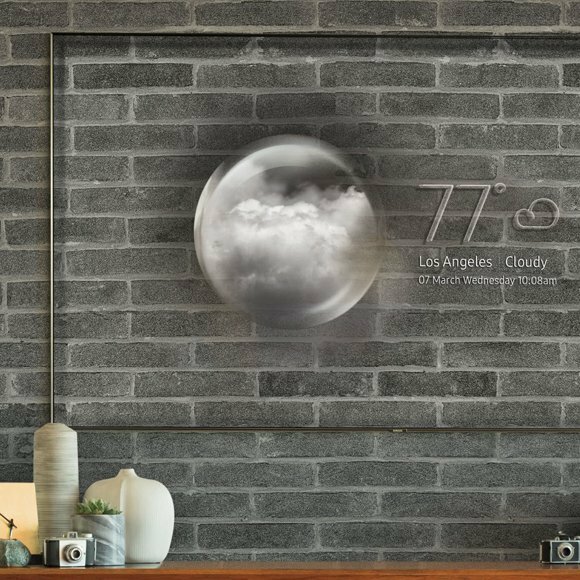 You can even turn your living room into a personal gallery by displaying photos from your mobile device or the Samsung Cloud. Or, use your TV to set the mood. Find your favorite tracks or playlists with Bixby’s intelligent voice command or use Bluetooth to play music from your phone. No matter what you choose to do, the stunning, clean back and virtually bezel-free design keeps your focus on the incredible picture. Evoking minimalism from all angles, your eyes will be pulled into a pure viewing experience. With the new Samsung QLED TVs, you can keep distractions hidden so you see only what you want to see. 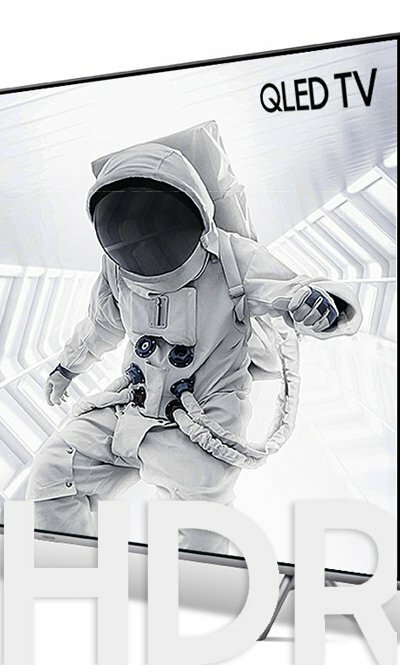 An advanced HDR technology, HDR 10+ precisely optimizes every scene for color, contrast, and details. QLED TVs bearing the Ultra HD Premium logo are certified as Ultra HD Premium to deliver 4K clarity with exceptional HDR performance and more expansive color for a cinematic viewing experience as the director intended. QLED TVs meet the highest 4K Ultra High-Definition standards as defined by the Consumer Electronics Association (CEA). Watch the TV. Not the TV. Manage all your cables. With their undetectable Invisible Connection™ connects all your components and power to the TV with a single cable. Now you don’t have to reach behind your TV to connect new devices. The One Connect Box connects your components to a separate box, and you can tuck all of it away, neatly out of sight. And, With the new Ambient Mode, you can elevate your living room with decorative content, useful information, your own photos, and even some background music. 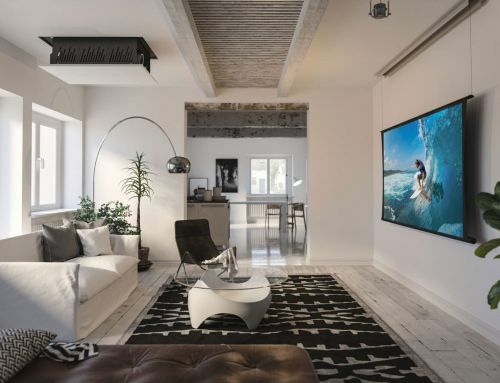 You won’t notice the TV on the wall as it blends perfectly with your décor. Seamless and effortless. A revolutionary way to help find streaming and live TV shows with a Universal Guide, OneRemote and voice assistance Powered by Bixby. Bixby makes it easy to search for content, flip channels, or even ask questions such as the current weather using only your voice. Just click voice recognition on your remote or smartphone, and Bixby is at your command. The best solution for your audio and video needs is what you will get with Shultz Audio Video ! We offer a full line of customized service including design, consulting & installation. 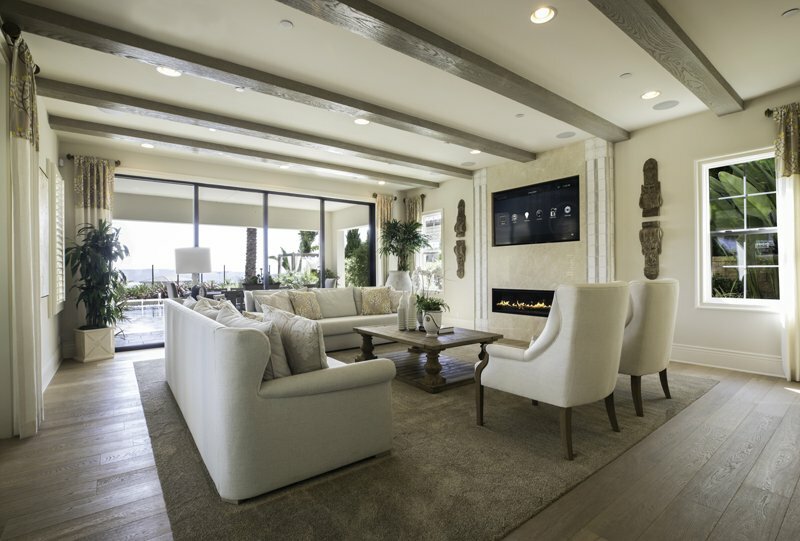 Whether you are looking to mount a new flat panel TV on the wall or over your fireplace, or looking to optimize the layout and sound of your home theater, our team of Audio Visual experts know how to get it done right. 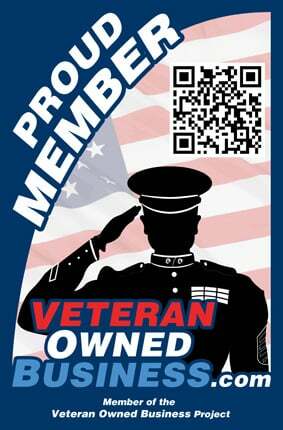 Call us today, and let us help you enhance your TV viewing experience (760) 505-7461.